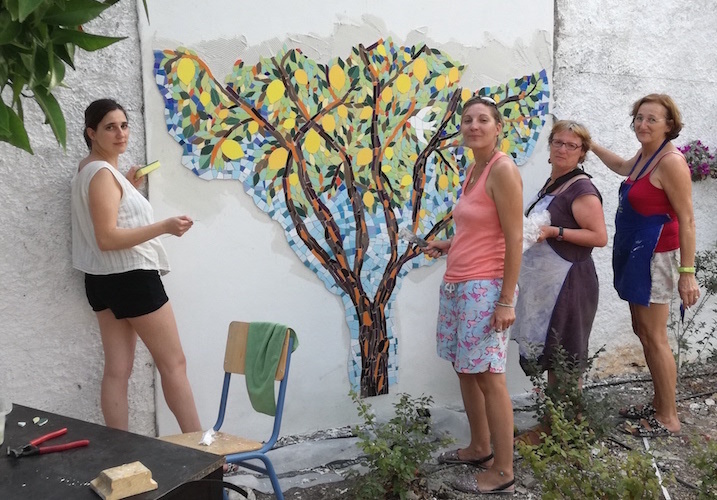 This the fourth summer workshop organized in Paxos by prominent Belgian mosaicist Jean-Christophe Duperron. Participants (10 years old and above) will create under his direction a large format mural mosaic which will be permanently installed in a public place on the island. Participants will learn the special techniques of cutting and assembling mosaic materials and contribute to the permanent beautification of the island! Daniela Sambo and Donatella Bruni are the organizers of this workshop and will provide assistance and advice and translate instructions in Italian, English, Greek and French. 7 sessions: 26, 27, 28, 29, 30, 31August, 1 September.